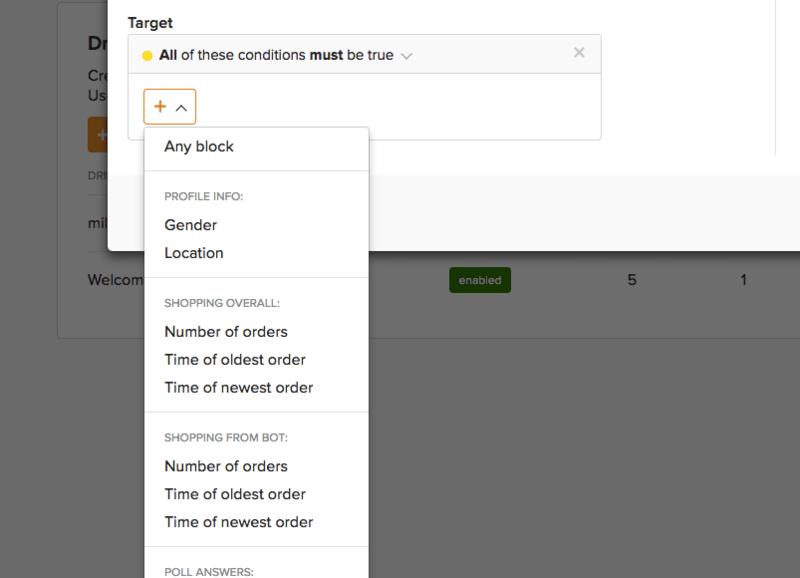 Targeting by purchase history allows you to segment your customers by their number of orders within a bot and overall from your store. 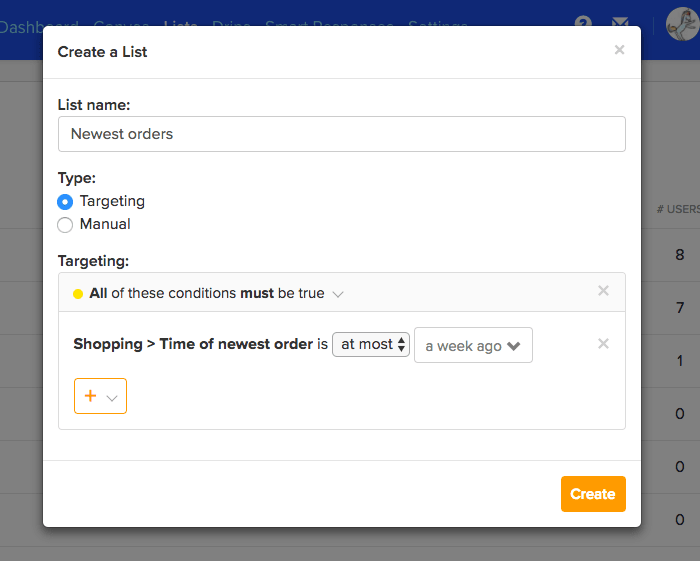 Here's a step by step of how to target by purchase history. 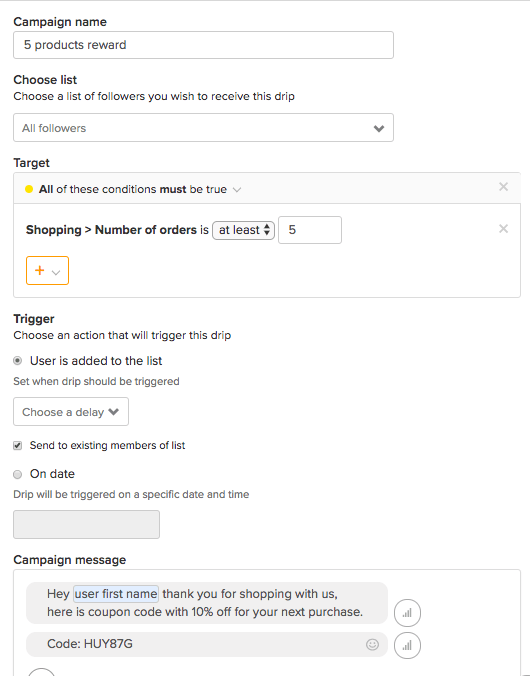 Shopping overall - This will include all purchases from the customer that we can measure: those directly from the store and also those purchases from the abandoned cart messages if a customer has been connected to the bot through your store. Shopping from the bot - This will include only those purchases that came through Abandoned cart messages. 1. The number of orders - Target messages by the number of orders a customer has made at your online store. 2. Time of the oldest order - Target by the first time customers bought an item from your store. 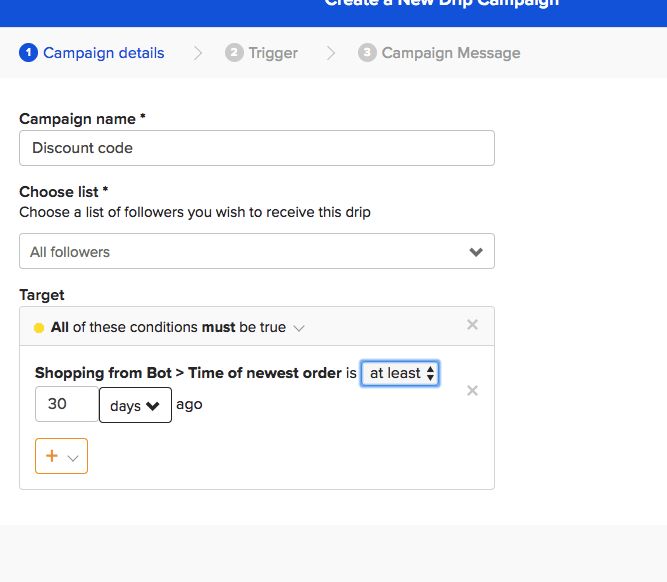 You can target by orders when you send a broadcast, create a flow, or when you create a list. *Pro tip: If you plan on sending frequent broadcast or multiple flows to certain groups, we recommend creating lists with those conditions. That way, you will always have them ready without having to define your target over and over again.